In the aftermath of an event, everyone starts asking questions and discussing improvements. This past week with Superstorm Sandy was no different at the SchoolDude office – but it also provided us an opportunity to reflect on the 12 year process and commitment we have made to ensure Clients have access to our systems and their data. As a company, SchoolDude has heavily invested in business continuity and disaster recovery infrastructure, to ensure clients are operational, regardless of the event. More than $1 million dollars has been invested in equipment, software, services, and labor to maintain disaster recovery procedures. Implemented offsite backups and a manual recovery processes. Staged standby equipment in disaster recovery sites for predicted events, such as hurricanes. Developed automated disaster recovery processes to dedicated disaster recovery facility and equipment. Relocated disaster recovery site to a new facility for improved capacity. Added additional disaster recovery equipment to adjust for added capacity in production data center. 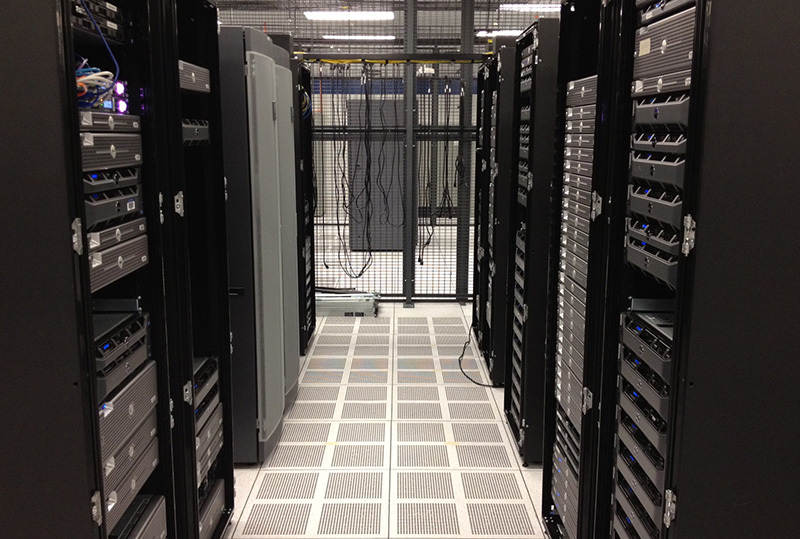 Relocated disaster recovery site to a dedicated cage environment. Refreshed and consolidated disaster recovery equipment. Built out new 10GBPS network and storage systems. Implemented daily monitoring processes to maintain disaster recovery sites. Upgraded bandwidth capacity to facilitate new replication processes. Introduced new compression and de-duplication technologies to utilize bandwidth efficiently. Rebuilt all database servers as part of a system upgrade project. Introducing new release management processes to better maintain applications and services for DR. Disaster recovery processes should be checked and validated. Changes to infrastructure often break disaster recovery processes, so the only way to know the processes are still working is to test and validate. Disaster recovery needs to be a topic when planning a project, not an afterthought when a project is completed. Disaster recovery is more than technology and automation. It involves people, processes, and communication and all of these aspects need to be included in a disaster recovery plan. The results of SchoolDude’s efforts to protect and secure our clients’ data speak volumes. For 2011 and 2012, SchoolDude’s servers and infrastructure provided 99.9% system availability and uptime during business hours (7:00am to 10:00pm by time zone). Over the next few years, virtually all of your software systems (such as financials, student records, curriculum and other major applications) will move to Cloud solutions with both the application software and your data being managed from a state of the art facility and provided to you via the Internet. Cloud solutions reduce your total cost of ownership for these applications by as much as 90% while providing far superior performance. Download 10 Reasons Offsite Data Storage is Ideal for Educational Institutions plus reliability, performance, security and privacy features of doing business in the cloud.